Summer is just around the corner, and with it comes many more opportunities to get out into the sunshine and exercise in nature. Here are some fun ways you can burn up to 300 calories while exercising outdoors — and how long it will take you to do so. Of course, exact calorie expenditure varies from person to person — these are only estimates (based on a weight of 150 pounds, give or take). Keep in mind, too, that exercise is about so much more than simply burning calories; increase your strength, stamina, endurance and get those endorphins flowing with some of these summer activites. 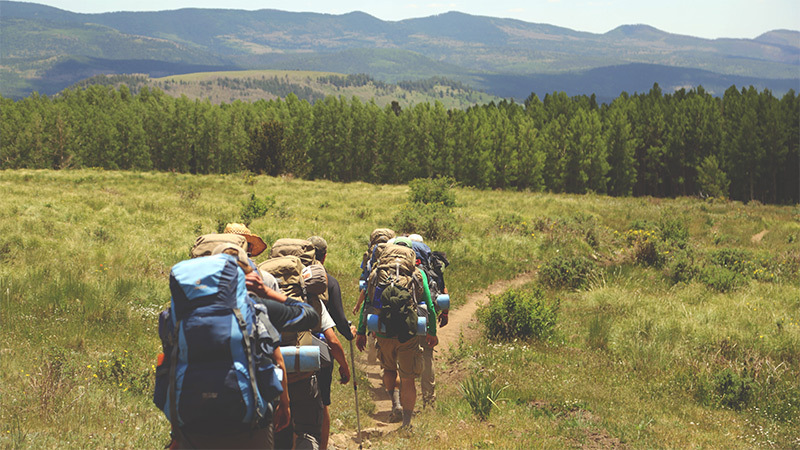 Backpacking (or hiking with a heavy backback) burns about 475 calories per hour. Even 35 and 40 minutes of backpacking will burn around 300 calories, which is pretty intense! 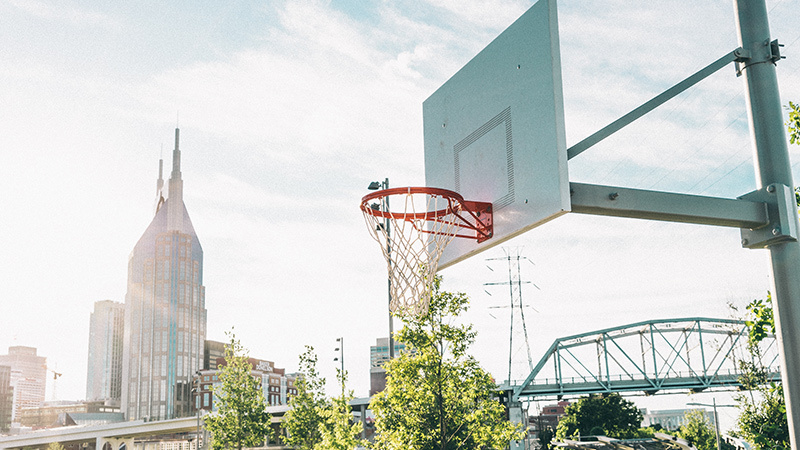 During game play, basketball burns about 540 calories per hour. You can burn 300 in just over a half hour. 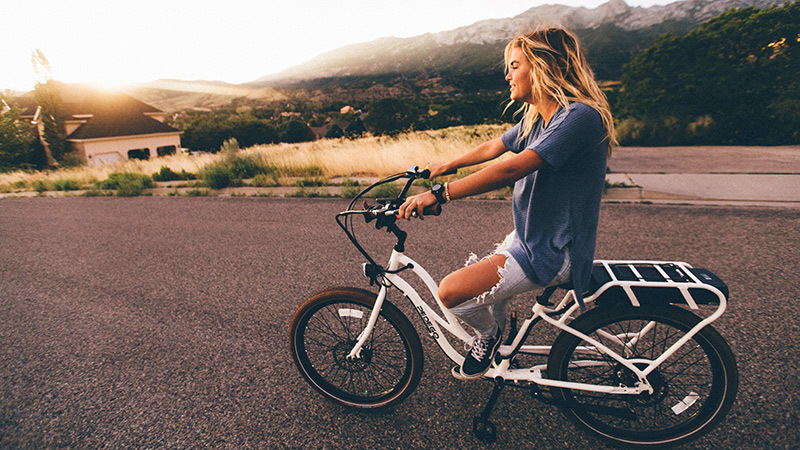 The amount of calories you burn while biking depends greatly on the speed at which you’re biking. If you’re racing in excess of 20 miles per hour, you burn a whopping 1143 calories per hour. Of course, if you’re just generally biking to get around town, you still burn a respectable 572 calories per hour. At that speed, it’ll take just a little more than a half hour to burn 300 calories. 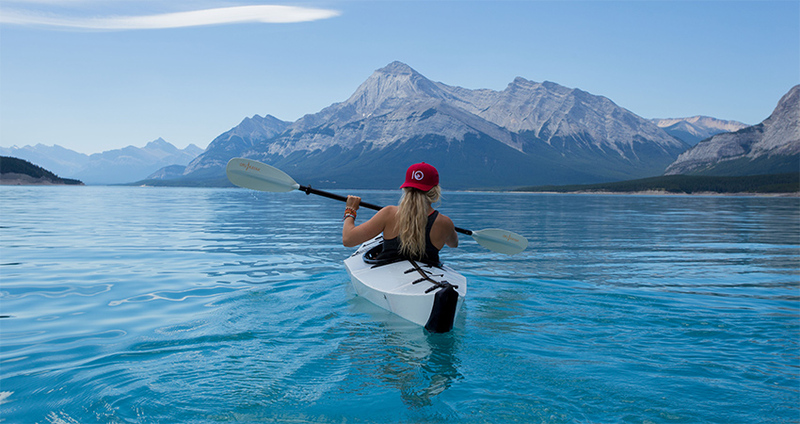 If you’re into water sports, canoeing or kayaking can be a great way to burn calories. If you’re rowing with moderate effort, you’ll burn about 600 calories an hour, meaning that 300 calories will take you just about 30 minutes. Fun fact: you burn about 500 calories per hour when carrying your canoe overland. Looking to clear out your gutters after the long winter? You’ll burn about 357 calories per hour doing this, meaning that it’ll take about 50 minutes to burn 300 calories. On the other hand, mowing your lawn with a power mower or planting trees will both burn about 321 calories per hour. 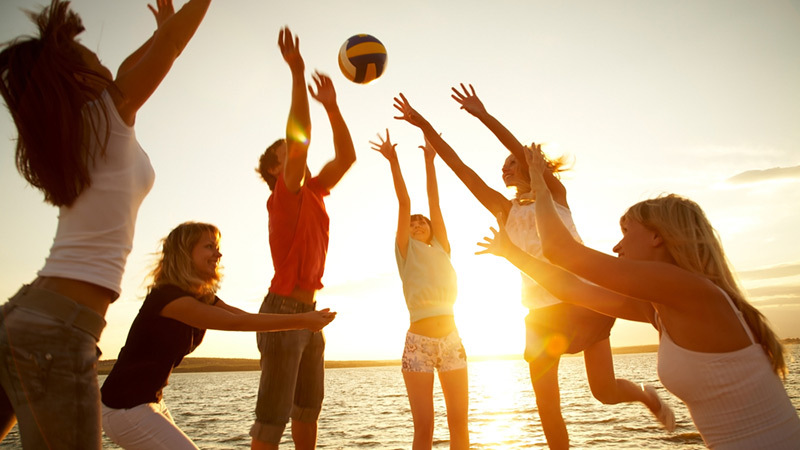 Beach volleyball is great fun once the sun starts shining, and it is great exercise. You can burn 300 calories in only 31 minutes while enjoying the sand and the sun. Walking is a wonderful form of low-impact exercise. If you walk on a level surface at a pace of four miles per hour, you’ll burn about 357 calories per hour, meaning that you’ll burn 300 calories about every 50 minutes. Increasing the pace or walking uphill will increase the rate of burning. When the ice finally melts, tennis is a great way to get active. 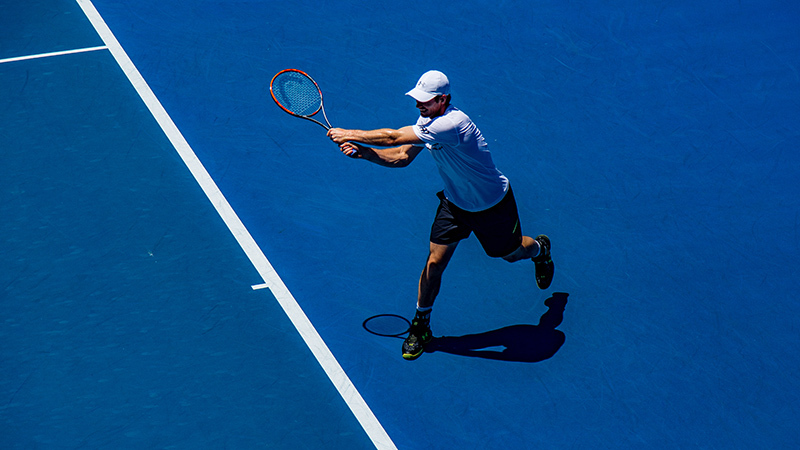 Playing singles burns significantly more calories than playing doubles. With singles, you could burn as much as 572 calories per hour (300 calories in 31 minutes). Doubles is still good exercise, though. In about 42 minutes, you can burn the same 300 calories. Heading to the pool is a fun way to exercise for the whole family. What’s more, it burns an amazing amount of calories. Swimming at a pace of 75 yards per minute in the freestyle stroke will use an impressive 786 calories per hour (meaning that it only takes 22 minutes to burn 300 calories). 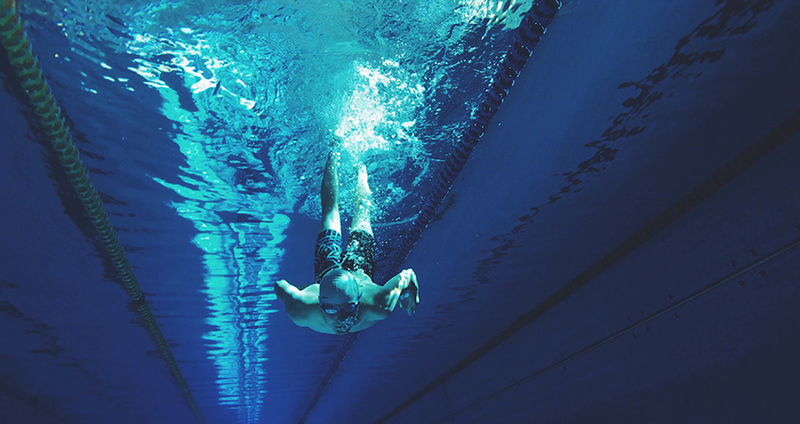 Treading water burns a similarly impressive 714 calories per hour (300 calories in 25 minutes). Even swimming at a more relaxed pace can be good exercise: leisurely, non-lap pace swimming still burns about 429 calories per hour (300 calories in about 42 minutes). 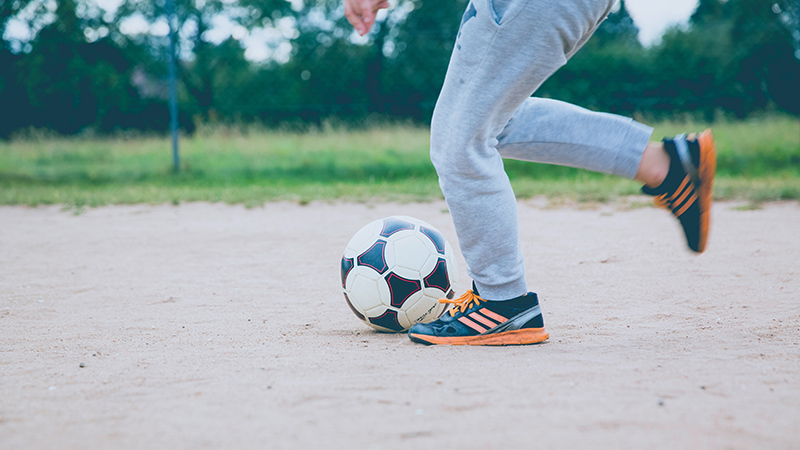 Playing soccer casually will burn about 500 calories per hour, meaning that after about 36 minutes, you’ll hit 300 calories. If, on the other hand, you’re playing competitively, you can expect to burn about 714 calories per hour (300 calories in about 25 minutes). Planning to head to the lake? 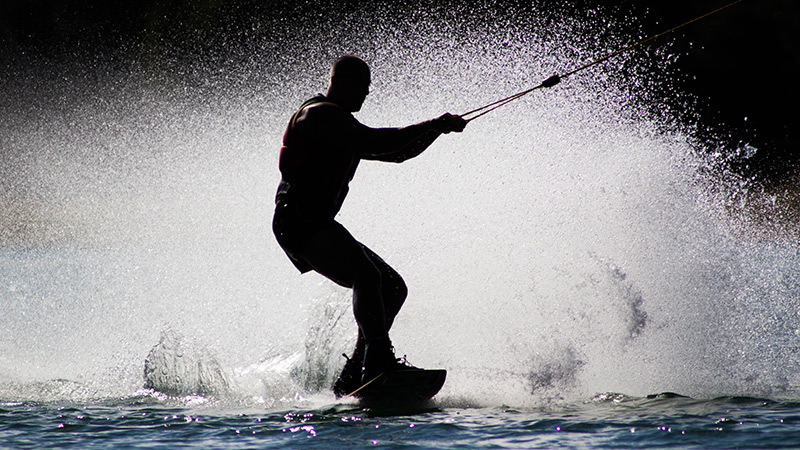 You can burn about 429 calories for every hour you waterski (300 calories about every 42 minutes). 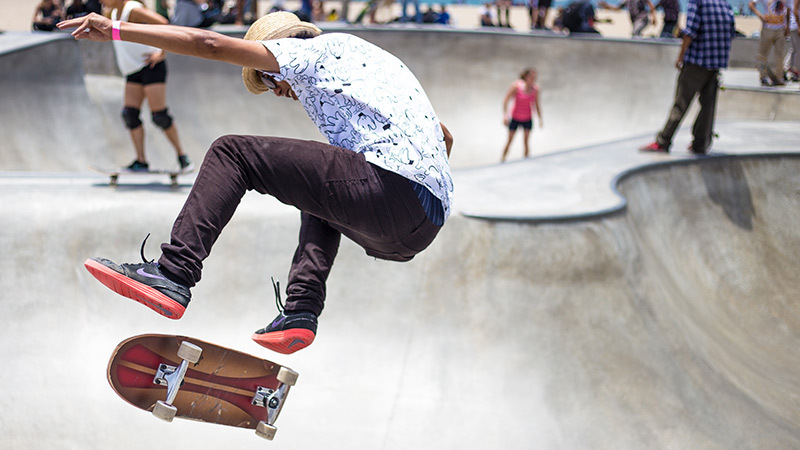 Skateboarding will burn about 357 calories per hour (about 50 minutes for 300 calories). The amount of calories you burn while running outside will depend greatly on the speed at which you’re running. A general estimate though is that you’ll burn 572 calories per hour while running (300 calories every 31 minutes). 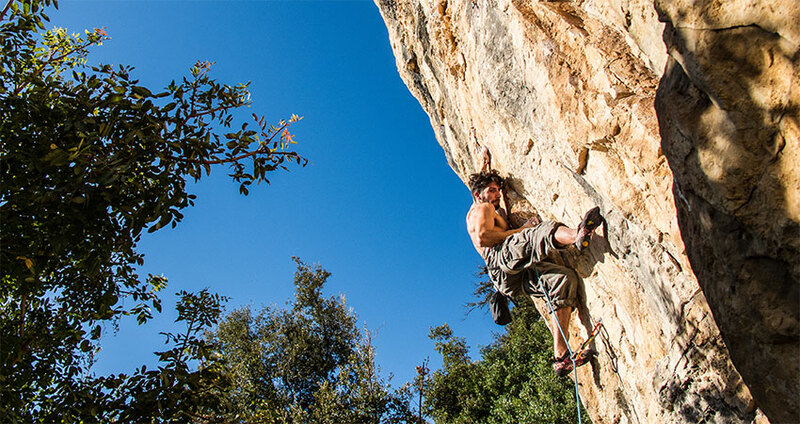 When you’re rock climbing, you’ll burn about 786 calories per hour on the way up (about 23 minutes for 300 calories) and about 572 calories per hour while rappelling down (about 31 minutes for 300 calories). Ultimate Frisbee burns about 572 calories per hour, meaning that you’ll hit 300 calories after about 31 minutes. 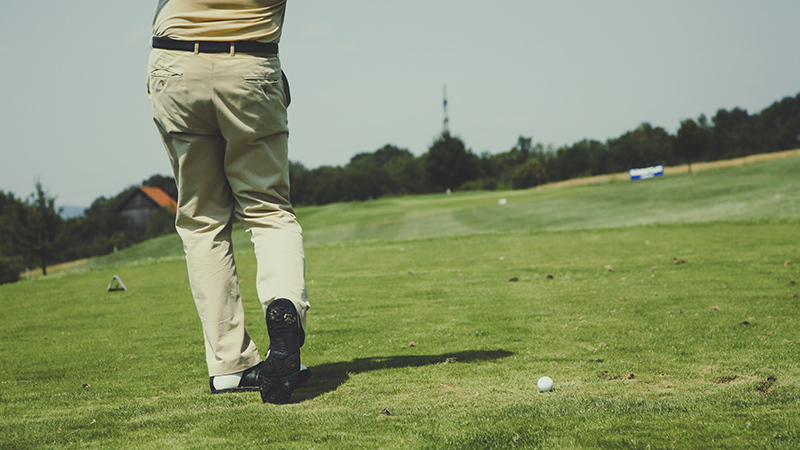 Playing golf burns about 270 calories per hour. After about an hour and 7 minutes, you’ll burn 300 calories.